Sometimes I don’t know how best to title my posts. Being someone with overboard knowledge of SEO it surprises me too, how sickly my headings are. Anyway don’t follow my footsteps, I run this blog out of passion : to share, to educate and to get you in the ahaa moment. Moving on to your startup (well this can serve anybody). I believe in the mind of a designer so much that I would rather hire a designer to run my company than an MBA. There are a lot of things that you probably have wrong because you were trying to emulate the big companies when you were starting out. When you do that you will fail. Don’t do that for the same reason Samsung went down a billion for Apple. Take this as best as you can, understand as best as you can and read the entire thing because you never know what will be a blessing for you. No preference to any industry either. When you set up shop make everything easily accessible to your customers. The products, the cashier, the exit and so on. Do not hide features : Keep all your products accessible. You are not like a supermarket counter where some valuable things are kept far away from the shoplifters. Make sure that everything can be seen by customers when they come to your shop. Label everything nicely if that applies to what you deal with. Do not mix the good and the bad features: If you sell gadgets, place the best right on the glass window display. Yes, you’ve seen fried chicken spinning in Nairobi’s fast food restaurants. Let people passing by, see the good stuff. Lure them in, even if not all of them buy, you need the accessibility because you are new. Keep the bad stuff far out of reach. Don’t make your customers lose interest by showing them the no good products. Make the good features easily accessible to every customer that comes into your store or website. Communicate with signs : Label everything worth labeling. If you run a restaurant, a customer shouldn’t have to ask you for the foods you provide, offer them a menu. If you run a computer shop label the gadgets. If you run a grocery label and group the fruits in the indigenous and common language in your business location. Label shelves, products and tables. Communicate with signs. Pick up features to add: When a customer asks you something, do not think them dumb. What is apparent to you may not be apparent to everybody. See how you can improve things based on daily interactions with customers. Learn the signs and make your customers experience superb, learn what they want before they ask you. Direct them before they ask you for directions. Well, this is not an excuse for you to eliminate physical interactions with customers. It is about easy usability and experience in your store or premise. Most people see your business as just that, a business, they do not care whether they should compliment you for the good features you have set up. They want to be served, pay you and go. On the other hand some customers will appreciate something. Your instinctive reaction would be to nod and say “thank you and come again”. That hasn’t helped you. Engage them briefly, see what they think would make what they like even better. Your customer is the best source of information. To improve their service experience, you must talk to them. Listen to them. Most importantly take the negatives and the complains seriously. On such situations, carry out your investigations and see how you can improve things. Being smart is good. Being able to conceptualize and implement is a gift that not many people have. Even if you are better than Steve Jobs in this fields, speak to your customers or future customers. If you do not have customers yet, go out and find them. Talk to people you consider your target market. And talk to some other people who you do not consider your target market. You are not a big business yet so you can always shift your market according to what the metrics are telling you. No guessing or being purely intuitive. Talk to people. You will be happy you did. Ok this article is getting longer than necessary, so there will be part 2. Take these seriously and act on them. 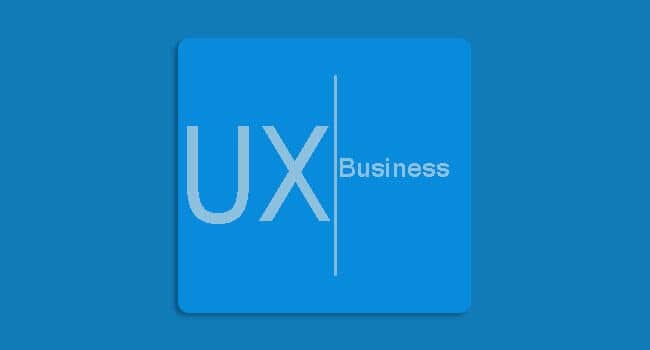 Check out for part two of this user experience in business. These points were inspired by my design side of the brain and some of my experience in starting up. Feel free to comment below or contact me directly via Facebook.